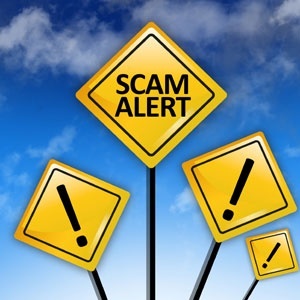 Johannesburg - A Fin24 user has lost R36 050 in a money scam which falsely claims to be part of Old Mutual. Previously, Fin24 reported that a money scheme was targeting black-listed consumers under the pretext of being Old Mutual. The scheme offers clients loans from R20 000 to R20m, at a fixed interest rate of 5%. There are no credit checks. The user, who did not want to be named, told Fin24 that she and her husband weren't black-listed but they were in need of financial assistance. They were awaiting a response from their financial adviser, when she had received an email from "Old Mutual". "When I do get spam mail I do not look at them. But it was too much of a coincidence because I had spoken to my financial adviser about getting help and then this email came through. That is why I decided to open it." The user said that after responding, the team posing as Old Mutual was helpful. A red flag went up when they asked for an admin fee. A loan was awarded to both her and her husband and they collectively had to pay and admin fee of R16 500. She said that they were convincing in their reasoning and so she and her husband made the payment. Throughout the process, the scammers kept requesting more money to approve different services relating to the loan. They also continually consulted via email and through telephone calls. Later they received an SMS that the payment would be processed within 24 hours. However the money was not paid through. After contacting her own bank to verify if the account in which the money was deposited was indeed an Old Mutual account, her bank found that it was not. "They were individual accounts and the money had already been withdrawn." Old Mutual group communications manager Ursula van der Westhuizen told Fin24 that the financial services company was alerted about it last year already. Old Mutual subsequently warned consumers and issued a statement on its website to warn the public about fraudsters using the company's branding to offer loans and investment opportunities. Stuart Marshall, CEO of Old Mutual Finance, said scammers use high-profile brand names in their schemes to dupe recipients. "In South Africa, most of the major banks and financial institutions have had their brand names used in this manner." The scammed Fin24 user was put in touch with a person who goes by the name of Melissa Green, who poses as a loan applicant consultant part of the marketing and sales team. Green acknowledged that it was a scam when she was contacted by Fin24 and the user. Green asked the user not to report to the police. The user has reported this to the police, and has sent through details to Old Mutual’s tip-off line. “The police said they would not be able to track these guys because they do not have the resources,” said the user. After speaking to the customer relations department at Old Mutual she was advised that this complaint was sent to the fraud department and that she should report this to the police. She said that she has also contacted the Ombudsman who has not been able to help. “My concern is that these people are still operating using Old Mutual’s name. No one is doing anything about it, and if they are they aren’t saying anything,” she said. Old Mutual's Van der Westhuizen said when this fraudulent scam was brought to their attention, they immediately opened a case of fraud with the South African Police Services in Pinelands. Consumers who have fallen prey to scammers are encouraged to report incidents to the police, she added. She said consumers can contact the tip-off line a 080 022 2117, where details will be passed onto the Old Mutual Forensics team for investigation. This particular scheme is an example of “advance fee fraud”. Here the applicant would be required to make some type of advanced payment for the loan to be “released”. Have you been a victim of this scam? Click here to tell us your story.